2020 is set to be a good year for Mars exploration. The United States, China, the United Arab Emirates, Europe and Russia all have planned Mars missions that are scheduled to launch, or likely to launch, in that year. There have been more than 40 missions to Mars throughout history. Some of these missions were failures, while others completed their goals and are no longer operational. Today, there are two operational robots on the Martian surface and five operational orbiters circling the planet. To date, all successful missions to Mars have been completed by four entities: NASA, the Soviet Union, the European Space Agency and the Indian Space Research Organization. Japan and China have tried and failed. In about five years, UAE and China hope to join the ranks of nations who’ve successfully explored Mars, while NASA and the European Space Agency (ESA) are planning ambitious missions to expand their Mars exploration capabilities. Why is everyone launching in 2020? It’s part strategic, and part coincidence. Because of the location of Mars relative to the Earth, prime launch windows (where the least amount of power is required to travel between the two planets) only open up every 26 months. One of those windows happens to be between July and August of 2020, which is when these missions are scheduled, or expected to launch. Of course, any of these missions could have been launched during earlier windows in 2018, or later windows in 2022; 2020 just happened to line up with budgets and development timelines. NASA owns and operates the only two working rovers on the surface of Mars today. Three of the five operational Mars orbiters also belong to NASA. A smaller Mars mission, the InSight lander, is scheduled to launch during the 2018 window, but NASA’s next big rover worth $1.9 billion will leave Earth in 2020. The design of the Mars 2020 rover is based largely on the design of the Curiosity rover, one of the highly successful robots that is still operational on Mars today. The new 2020 rover will make use of Curiosity’s landing system and rover chassis design, but will carry a new set of seven instruments and upgraded hardware. Like many of the other landers and rovers before it, one goal of the Mars 2020 mission is to assess the habitability of its surrounding Martian environment. The rover will also directly search for signs of ancient Martian life. Equipped with a coring drill, the nuclear-powered rover will be capable of collecting and storing Martian samples. NASA’s goal is to, eventually, design a sample-return mission that would be able to retrieve the samples and bring them back to Earth. Another possibility is that future astronauts would collect these samples and bring them back. The Mars 2020 rover is scheduled to launch in July, 2020. In recent years, China has focused its exploration on the Moon. Performing the first soft landing on the moon in 37 years, their Chang’e 3 lander sent back a suite of never-before seen true color photos of the lunar surface. A follow-up mission to the far side of the Moon is planned for 2018. In 2020, however, China has its sights set on the red planet. Late last year, China unveiled a model one-third the size of the spacecraft they intend to be the country’s first successful Martian mission. The spacecraft is composed of two main parts: an orbiter and a rover. With their own spacecraft in orbit around the planet, China can ensure a means of communicating with their lander. India, ESA and NASA also have working orbiters around Mars, but collaborating with other nations for communication purposes would be tricky, or downright impossible. So instead, they’re sending their own. Animation of the mission can be seen at the 1:47 minute mark in the video below. As their first Mars mission, the primary goal is to successfully develop the capability to remotely navigate a probe into orbit, soft-land a rover on the Martian surface and maintain communication with both. While scientific goals are also likely, China has yet to release specific details on this part of the mission. At just two years old, the United Arab Emirates Space Agency plans to complete its first mission to Mars in 2020 with an orbiter they’ve named Hope. In the video below, the Hope mission team explains that they plan to produce the first-ever truly global picture of the Martian atmosphere and perform the first holistic study of the Martian climate. With a scheduled launch in July, 2020, the space probe will be the Arab world’s first Mars mission. After a nine-month journey, Hope will arrive at Mars in 2021. That year holds particular significance for the UAE because it’ll be the country’s 50th anniversary. “Despite all the tensions and the conflicts across the Middle East, we have proved today how positive a contribution the Arab people can make to humanity through great achievements, given the right circumstances and ingredients.” Sheikh Mohammed bin Rashid, Vice President of Dubai. While the mission is managed completely by an Emirati team, the data from the Hope mission will be shared with more than 200 universities and research institutions around the world. Finally, Europe will also probably add a Mars mission of their own to the 2020 launch window. Their mission, ExoMars Phase 2, will include a rover designed to conduct exobiology and geochemistry research. The mission will also include a Russian surface platform which will image the landing site and conduct long-term climate modeling and atmospheric investigations. ExoMars Phase 2 is currently scheduled for the 2018 launch window, but because of funding issues and technical delays, there have already been discussions to postpone it to 2020.
back the launch by a couple of months. Missing the short two-month window means you’re probably just going to have to wait another 26 months. NASA recently went through this same decision process when they postponed the InSight lander from the 2016 launch window to 2018. Europe successfully launched ExoMars Phase 1 earlier this month. 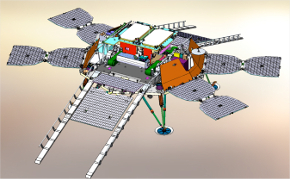 Similar to the proposed Chinese mission, ExoMars Phase 1 consisted of an orbiter and a lander. In addition to analyzing the Martian atmosphere, the orbiter will also be used as a relay for the ExoMars team to communicate with the lander and the rover once it arrives. Phase 1 will arrive at Mars in October of this year. Phase 2 intends to soft-land a rover, which will be the most technologically challenging addition to the ExoMars robotic team. Upon landing, the rover will leave the Russian surface platform and travel across the surface of Mars. In addition to proving out the capabilities of robotic mobility, the rover is equipped with scientific instruments, including a drill, which will be used to conduct exobiology and geochemistry research. If all goes according to plan (and if ExoMars Phase 2 does get postponed), 2020 is going to be a big year for important (expensive) launches. Six to nine months after the 2020 launch window, Mars can expect a fleet of orbiters, landers and rovers coming from five different nations back here on Earth.